When Mimi Arnstein was looking to start her farming operation in Vermont in 2002, she found an opportunity to join an existing “land cooperative” in Marshfield. The Wellspring Land Cooperative offered her an affordable place to live and start her farm. 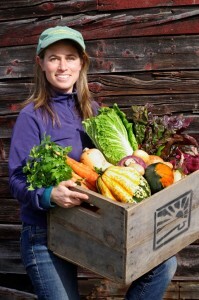 Many beginning farmers wonder about the unique opportunity of a land cooperative. Mimi describes her experience with the cooperative and also provides supporting information about how the cooperative functions legally, economically, and inter-personally, and how that has affected her life and her farm business.